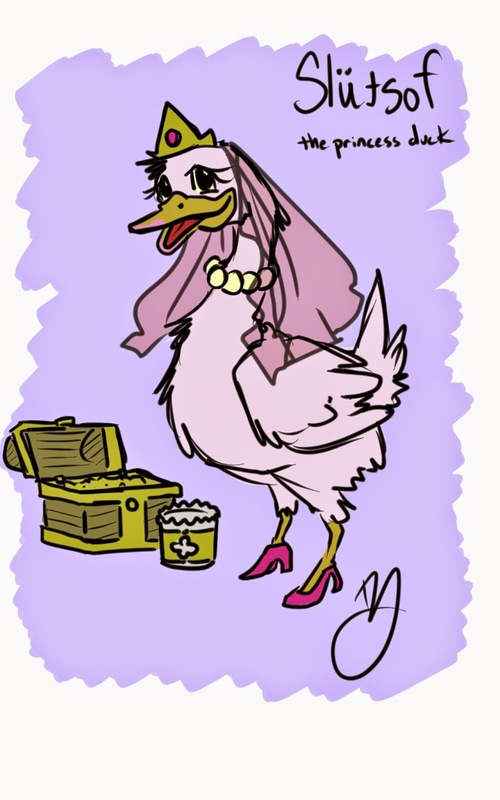 Welcome to Slütsof In Stagrâm an online fantasy series about a Princess duck named Slütsof and her adventurous journey across the mystical lands of Stâgram. Join her as she leaves her castle, searches for her long lost brother Whöresof The Magical Goat and challenges a tyrant King who has claimed all of Stagrâm for himself. Here is some concept art to ignite your imagination! --New submissions below! So many more wonderful pieces. Consider my imagination ignited! 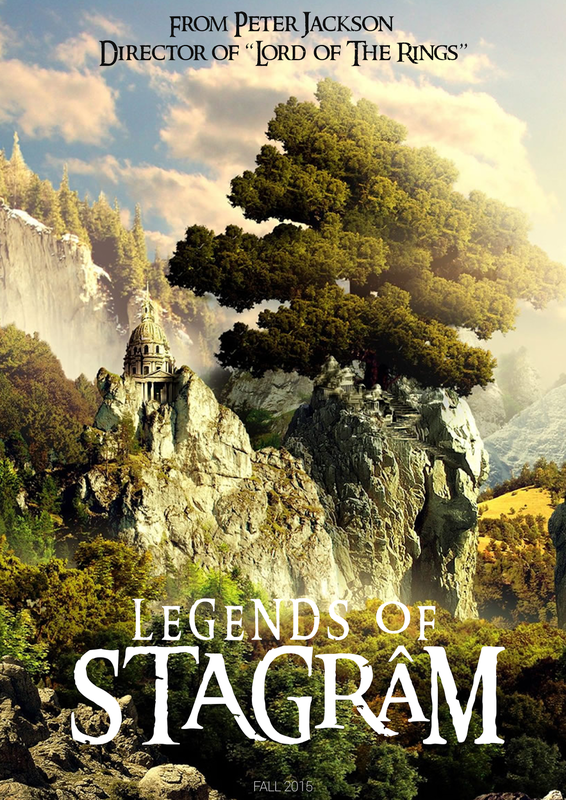 Michael Kroissmayr writes "The first poster for Legends Of Stagram by Peter Jackson was just released on IMDb! So stocked for this. I heard Andy Serkis will play Slütsof." Here we come hollywood! 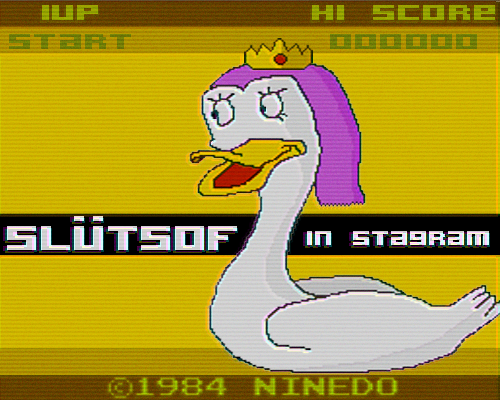 An anonymous user sent in this concept art for a Slütsof video game! 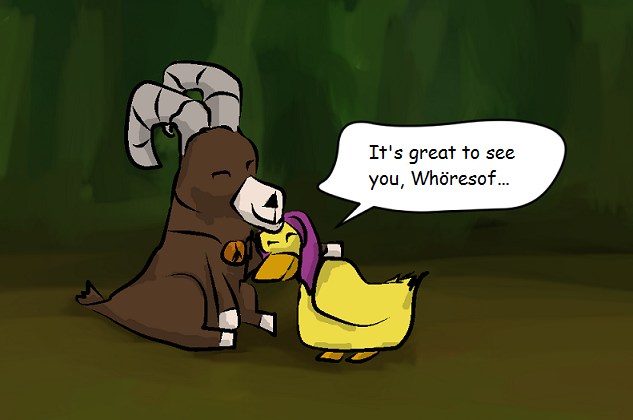 Whatta ya say EA, Bungie, Notch? Micheal Cohen writes "Here is a picture of Slütsof being presented the Button of Stâgram (many say the the Best Button in Stâgram) by Sadam, the cyclops who calls Cyclops Cave home." Is Slütsof wearing a do-rag? Here's a littel doodle from Doomed Jannisay, Slütsof is real sassy in this one.